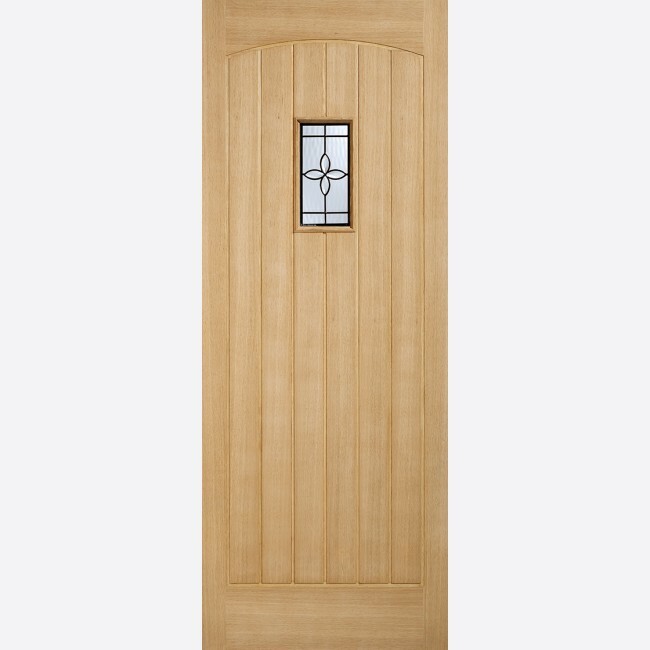 In the interests of envi­ron­mental concerns and improved performance, these doors are of dowelled engineered construction with a mixed species core overlaid with high quality Oak veneer. This Part L compliant range offers effective insulation to suit the growing demand to improve the insulation of our homes. Also, the doors are all fully factory finished with the acclaimed Sikkens Finishing System so they can be purchased and hung as a replacement door without the need for further finishing (hinge and lock cut-outs and/or planed edges must of course be resealed to ensure that the integrity of the door is maintained and the LPD Guarantee is validated). A beautifully designed door with raised and fielded panels and stylish black zinc/leaded caming in part-obscure double glazing. In the interests of the environment and improved performance, these doors are of dowelled engineered construction with a mixed species core overlaid with high quality Oak veneer. Engineered Oak Door components, give more stability to the your door, and reduce any problems such as expansion, twist and warp, that ordinary solid oak parts can have, There are no Raised Bollection Mouldings. The Part L insulation compliance offers effective thermal 'U' value to meet new build Building Regulations (1.8W/m2K). Also, the doors are all fully factory finished with acclaimed Sikkens Finishing System so they can be purchased and hung as a replacement door without the need for further finishing (hinge and lock cut-outs and/or planed edges must of course be resealed to ensure the integrity of the door is maintained and the LPD Guarantee is validated). LPD Oak Glazed Chesham Door Codes - OWDCHE30 - OWDCHE32 - OWDCHE33 - must be treated to manufacturer's instructions. 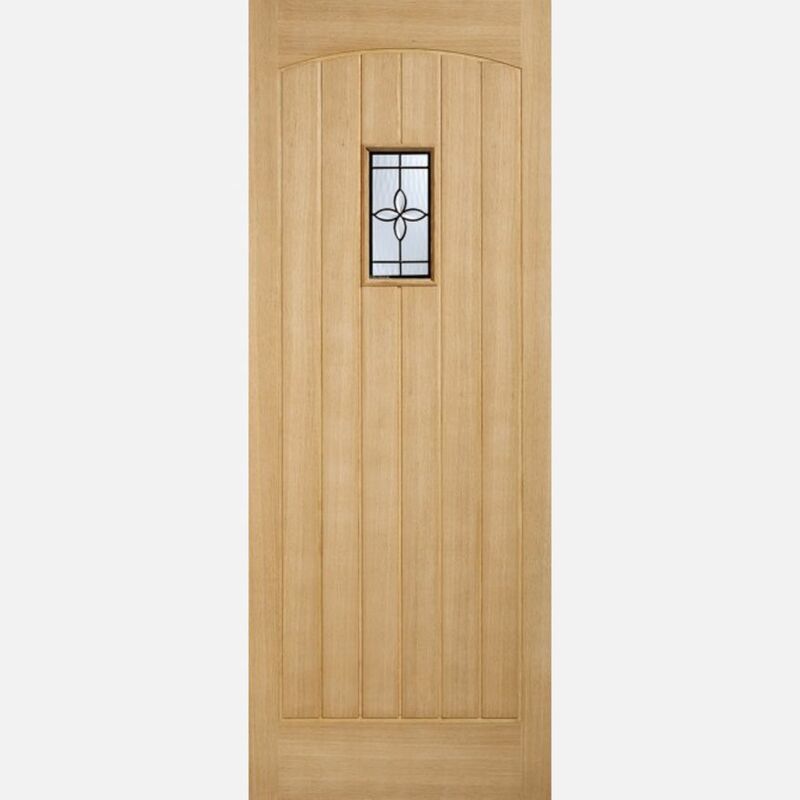 - We cannot exchange Oak Glazed Chesham External Doors after order - LPD Chesham 1-Light Double Glazed Oak External Doors are supplied as a Special Order. E. & O.E. see T&C - We do try to keep prices and specifi­­­­­­­cati­­­­­­­ons of LPD Chesham 1-Light Double Glazed Oak Part-L External Doors correct, but mistakes can be made!